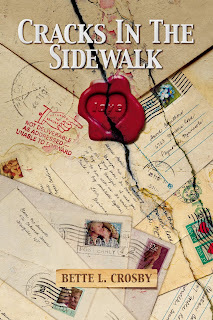 Bette Lee Crosby, whose novel Cracks in the Sidewalk received the Florida Writer’s Association 2009 Royal Palm Literary Award, is now offering readers an opportunity to enjoy this heart-warming story for FREE. Log onto her blog site and every Monday you’ll find a new chapter of Cracks in the Sidewalk – it’s fast, easy and fun, something you can enjoy and share with friends across the country. The blog site is http://betteleecrosby.wordpress.com/. 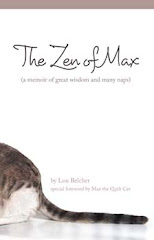 You can read each chapter online or print it to read later. And, if you miss a week, the blog archive allows you to go back and read the previous chapters. According to Crosby, an open discussion forum on the book is planned for the future – you’ll be able to post your comments and review those of other readers. When asked why she is allowing readers free access to this novel, she said, “Cracks in the Sidewalk is based on a true story, one that needs to be told, one that will remind women that despite tragic circumstances, every one of us can make a difference in the lives of others.” Crosby said that she hoped this discussion group would evolve into a book club following as popular as the one hosted by Oprah Winfrey. Crack in the Sidewalk is Crosby’s second novel and follows on the heels of Girl Child which won the 2007 National League of American Pen Women Award. Crosby’s novels are based on female characters who are easy to like, women with big hearts and strong backbones. In April, Crosby, will address the GFWC of Vero Beach and the Cascades Women’s Club in Saint Lucie West. In November, she will be speaking at the Stuart Women’s Club. For more information on upcoming appearances, to learn more log onto Crosby’s blog or visit her website at http://www.betteleecrosby.com/ .